Q: What’s the best way to build muscle when you have the least amount of time? My Answer: It depends on what kind of schedule you have. 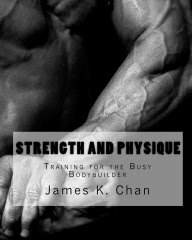 In Strength and Physique: Training the Busy Bodybuilder I show you how to workout on a busy and unpredictable schedule. 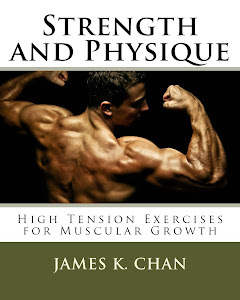 This book will show you how to train on a low frequency program to maximize muscle growth. 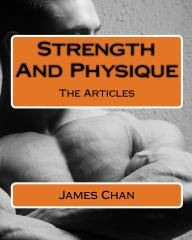 So if you can get to the gym only 2-3 times per week, then this book is for you. Now you can also go in the other direction and train frequently, multiple times throughout the day. You have to audit your schedule and squeeze out time to train any which way you can. Instead of doing an hour long workout which would block out a portion of your day, you can fracture the workout into mini workouts and inject them in between other activities. For example, Peary Rader had a one day arm specialization routine where you would do a set of biceps and a set of triceps every hour on the hour for 12 hours. Lifters who did this would add up to 3/4’s on an inch in arm growth. Pavel Tsatsouline has a similar training concept called “greasing the groove” (GTG) where you would do pull-ups every time you pass by a pull-up bar set up in your house. You can apply this concept of mini-workouts to a busy schedule. 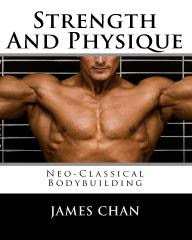 Choose 2 body weight exercises and do a set of each every hour on the hour. I would do something like a push-up variation and a squat variation. The beauty of doing body weight exercises is that you can do them anywhere at any time and you don’t have to go to the gym. If you can install a pull-up bar at your office or place of work, then I would add a set of pull-ups too. Do this mini workout multiple times throughout the day, five days a week for 2-3 weeks. Then for 3-4 weeks just do the mini-workout once a day, 5 days a week.